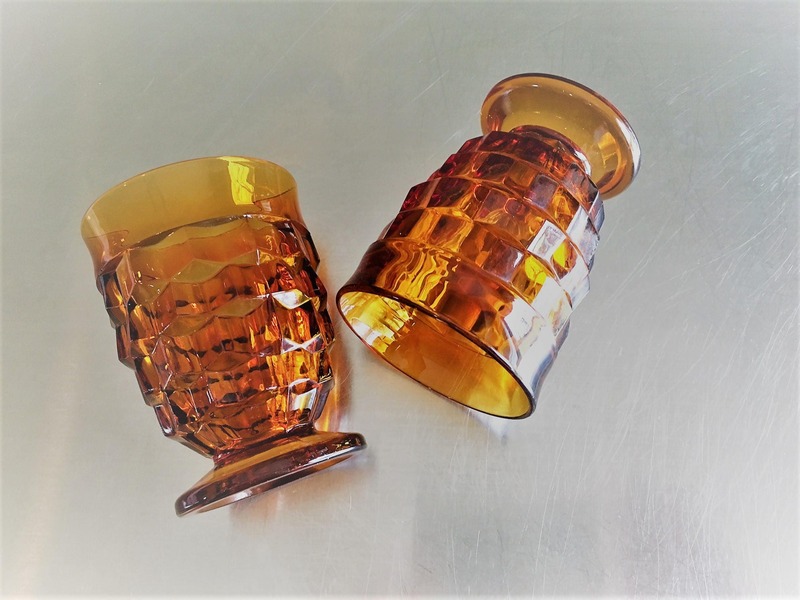 Set of 2 Vintage Whitehall Amber Footed 10 oz. 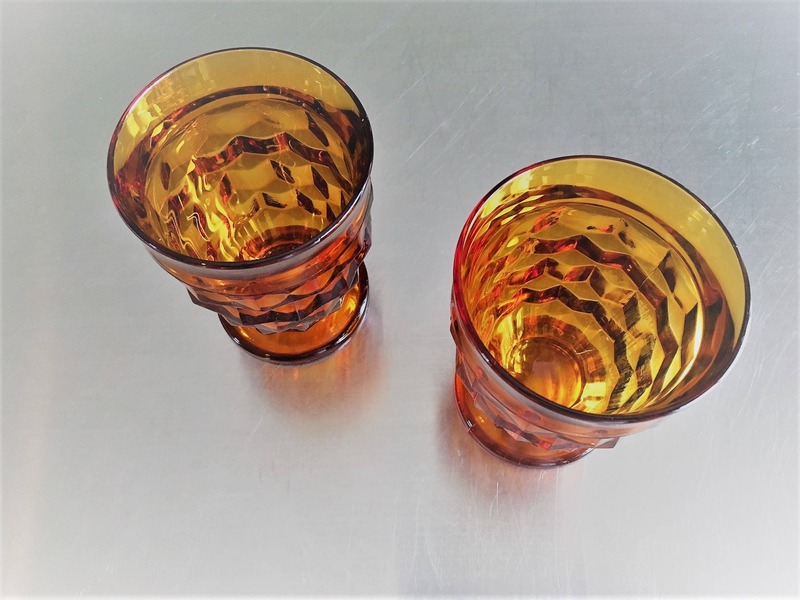 Tumblers - Cubist Pattern #521. 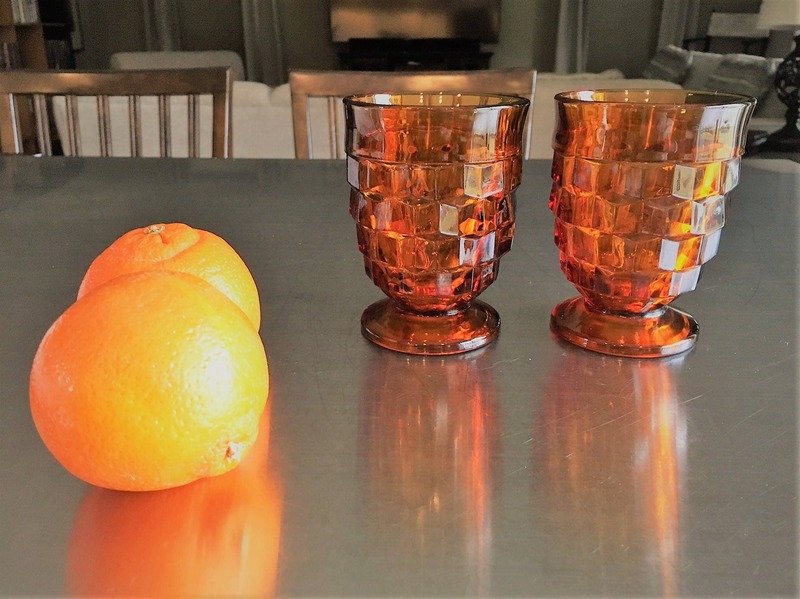 These beautiful tumblers/glasses feature the cubist design surrounding the glass with a smooth round glass foot/base. In excellent vintage condition - no chips or cracks. 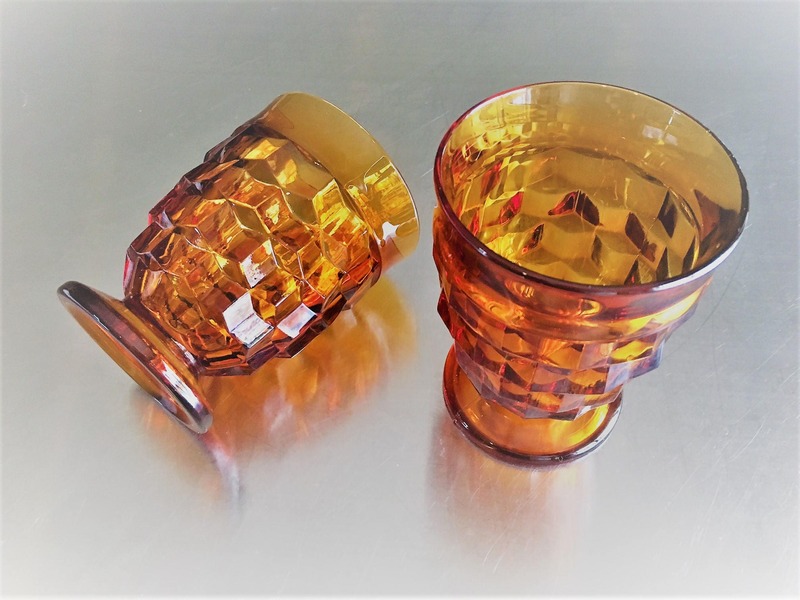 A beautiful addition to your table or barware - a great gift. 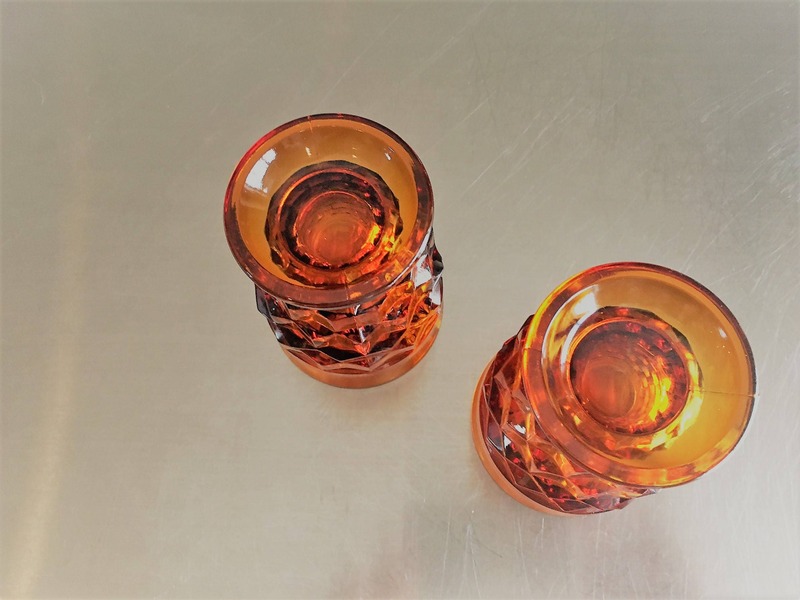 Each glass is 4-1/4" high x 3-1/4" in diameter at the rim. The base of each glass is 2-5/8" in diameter. I have 10 of these glasses, so reach out if you need more than just two and I'll work with you to combine shipping.